The city of Nantes, France was occupied by the Germans in WWII and was partly destroyed. Nantes was the target of three of the 384th’s bombing missions, two in 1943 and one in 1944. 384th BG Mission 24 on 16 September 1943. The target was a blockade runner ship in the Loire River. But upon arrival the group found that the intended target, a ship loaded with munitions, was not found in the briefed area. The Group attacked the secondary target, port facilities and shipping, with good results. 384th BG Mission 25 on 23 September 1943. A week later, the Group returned to the Nantes port area with the target a ship believed to be a floating repair shop for submarines. Bombs were dropped using visual aiming, with undetermined results. 384th BG Mission 132A on 10 June 1944. The target was the German Air Force (Luftwaffe) at Chateau Bougon Airfield. 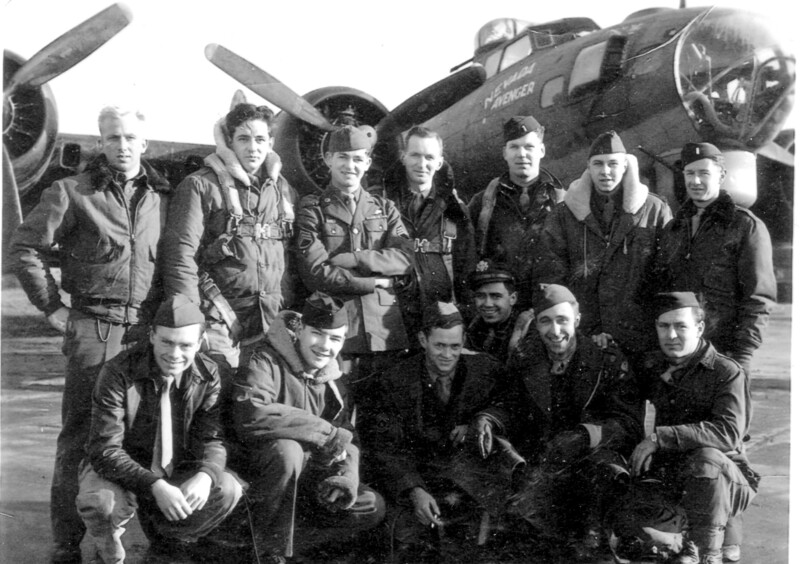 The Group flew as the high group of the 41st “A” Combat Bombardment Wing. Bombing results were described as excellent. 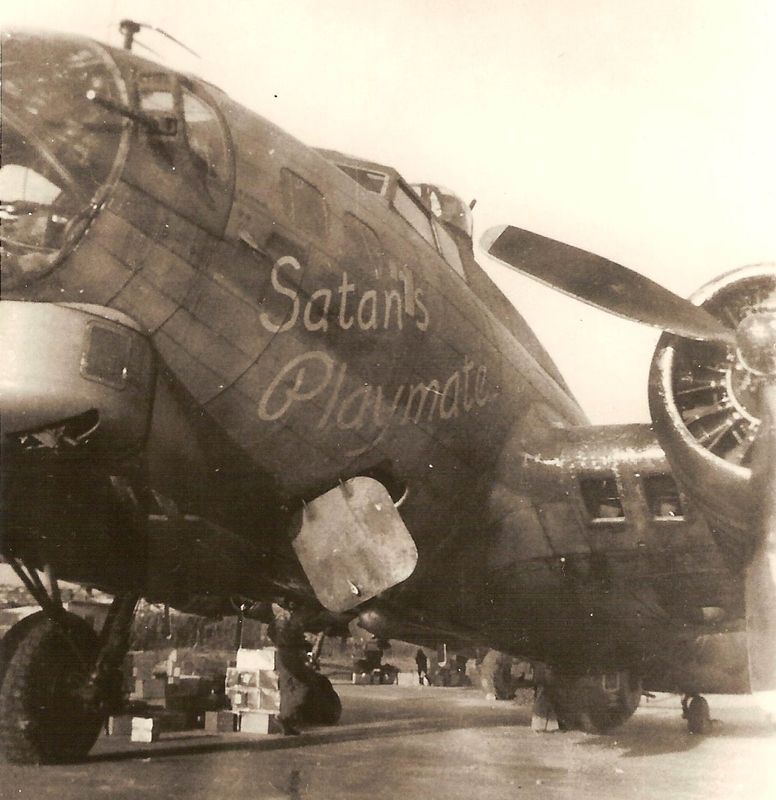 But these would not be the only missions of the 384th Bomb Group to Nantes, France. Nantes was liberated by the Americans in 1944. At the end of the year, the 384th Bomb Group flew one more mission there. 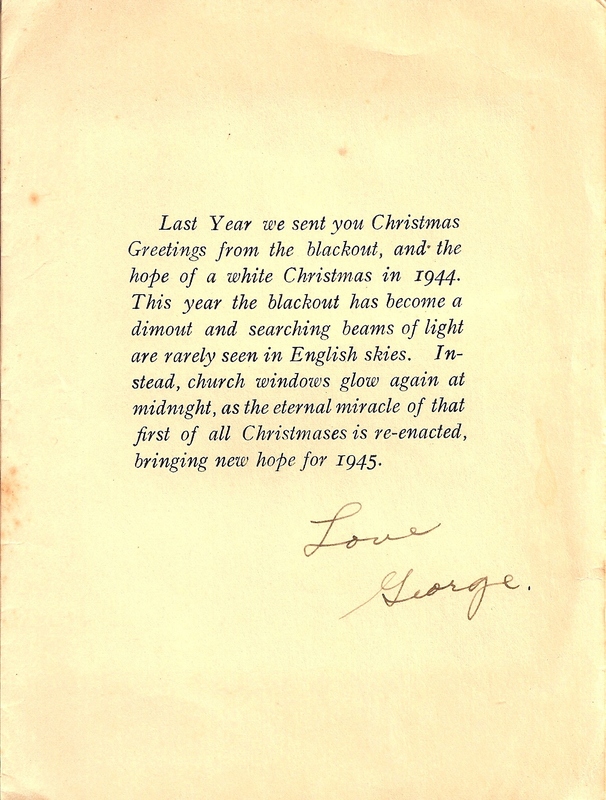 Intelligence Officer Oscar P. Picard conceived a special Christmas gift mission to Nantes to distribute gifts and toys to thousands of children in the city. 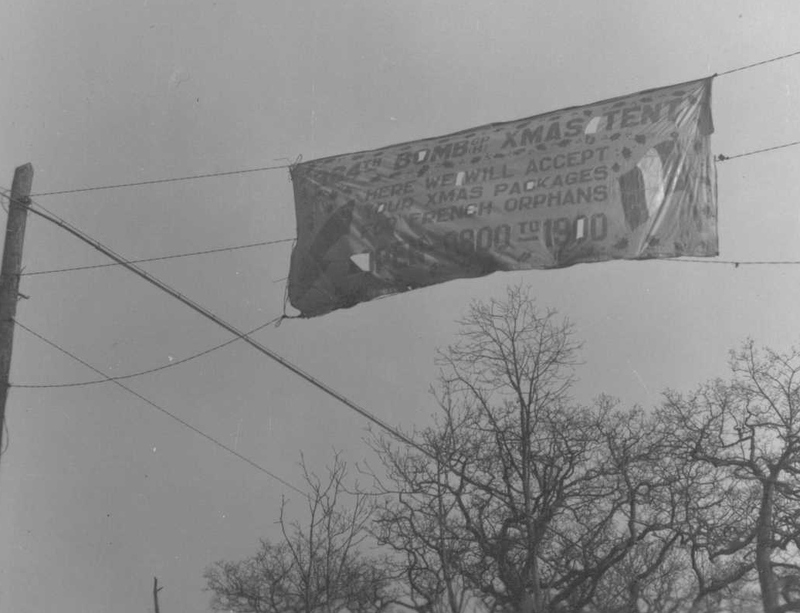 Banner from 1944, it reads: 384th Bomb GP Xmas Tent. Here we will accept your Xmas packages for French orphans. Open 0900 to 1900. 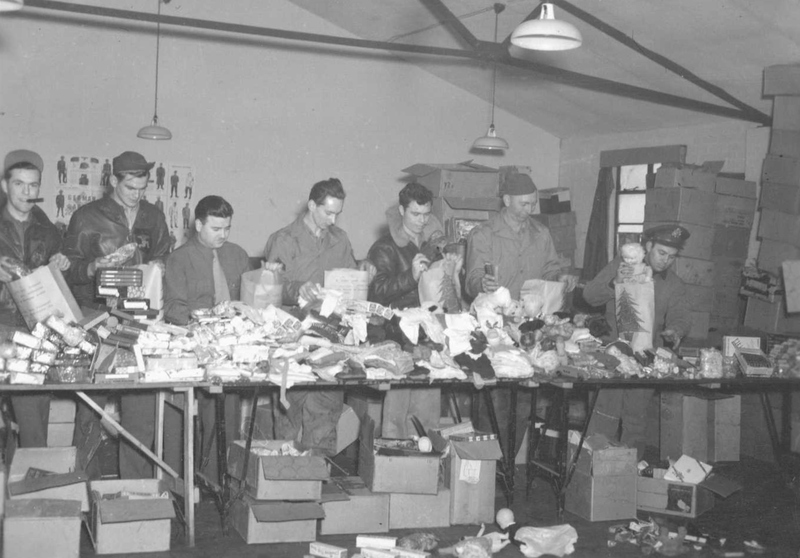 The men of the 384th Bomb Group contributed money, their candy rations, clothing and toys purchased in town or sent over by request from relatives and friends from home. The money went towards clothing, soap, and other practical necessities of hospitals and orphanages, items unattainable in France. 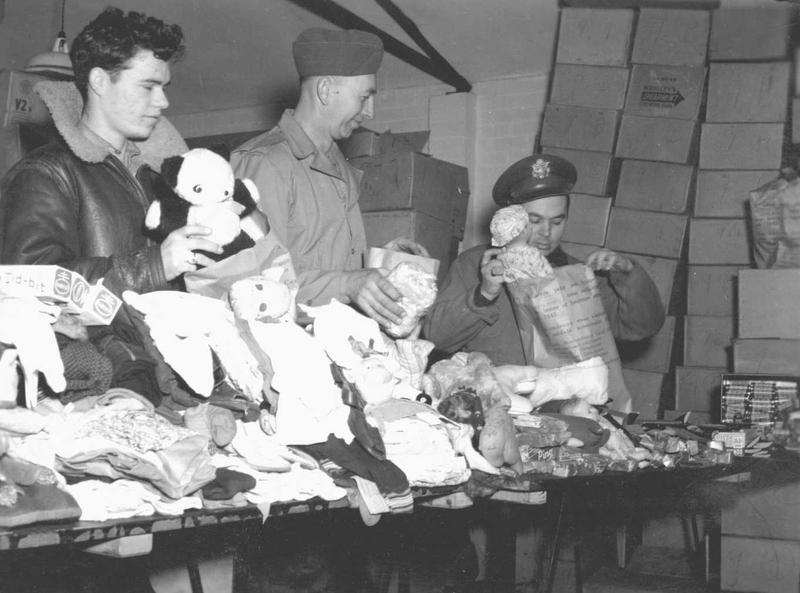 Packing Christmas gifts for Nantes, France, Bethlehem Orphanage in 1944. Might be LT Oscar Picard on far right. 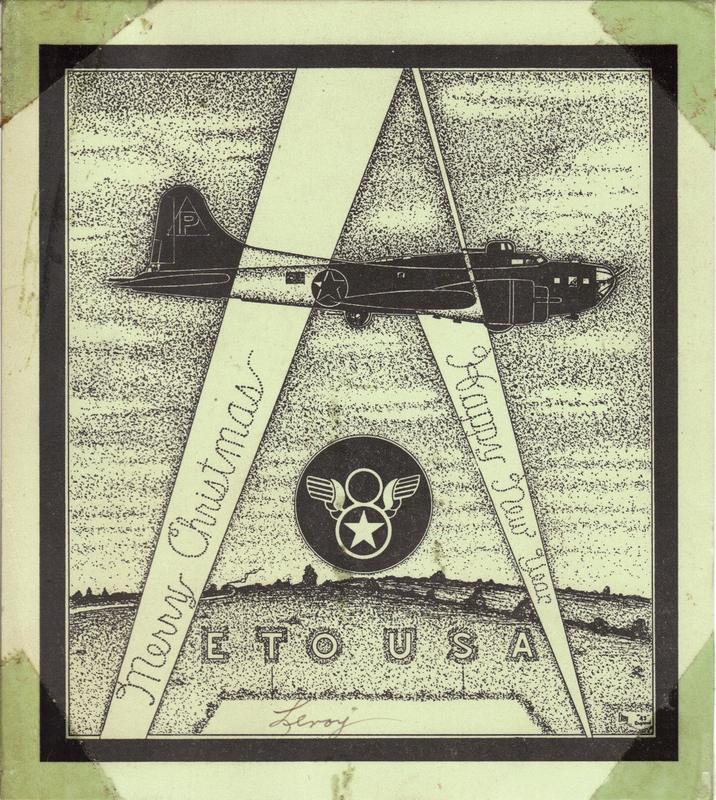 On this mission, the bomb bays of six B-17s were filled with toys and clothes for the children of Nantes. Delivery was timed for the traditional French gift exchange on New Years Day, 1945. 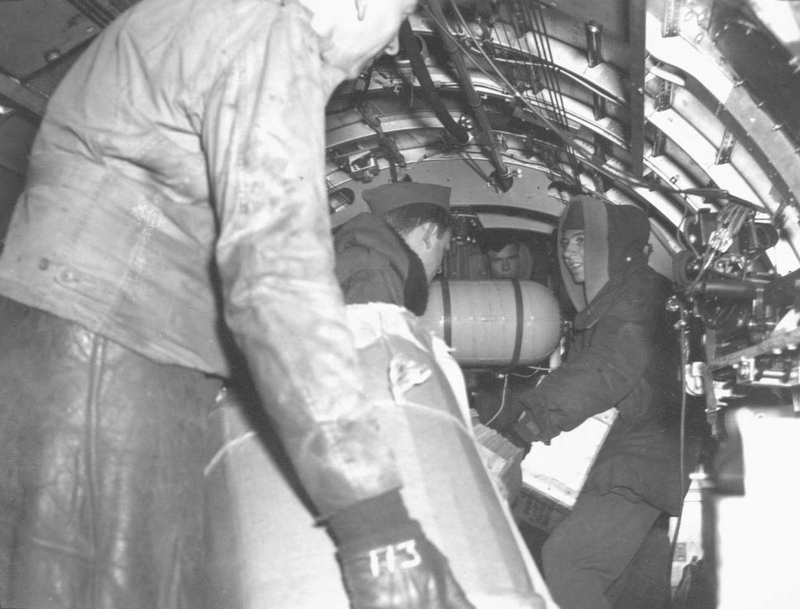 One of the crews on the flight to Nantes, France to deliver Christmas gifts to the children on 30 December 1944. Front row (left to right): Unidentified; S/Sgt. Carlton W. King (Tail Gunner); S/Sgt. Vanny D. Squires (Top Turret/Engineer); Lt. Richard C. Buswell (Co-pilot); S/Sgt. 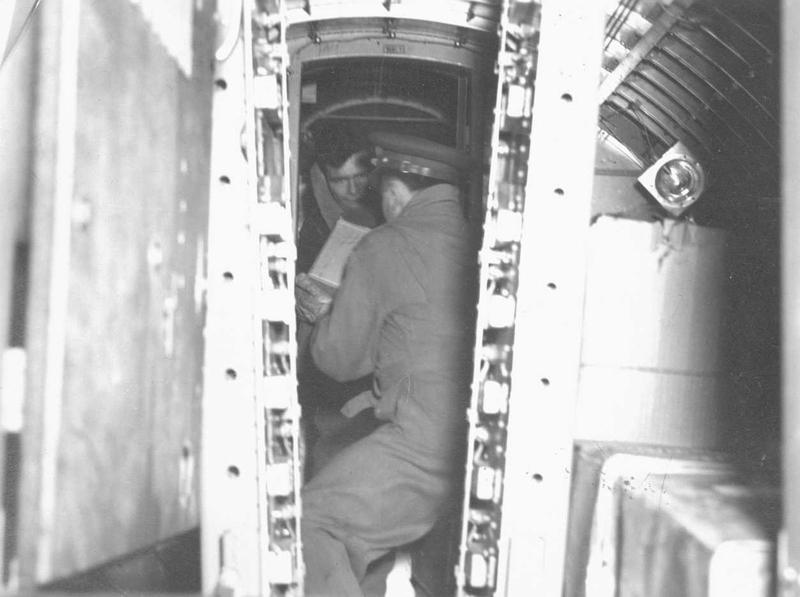 Vernon P. Gardner (Waist Gunner); S/Sgt. Ivan C. Berry (Waist Gunner). Missing from this photo is Lt. Lambert Muller-Thym (Bombardier). 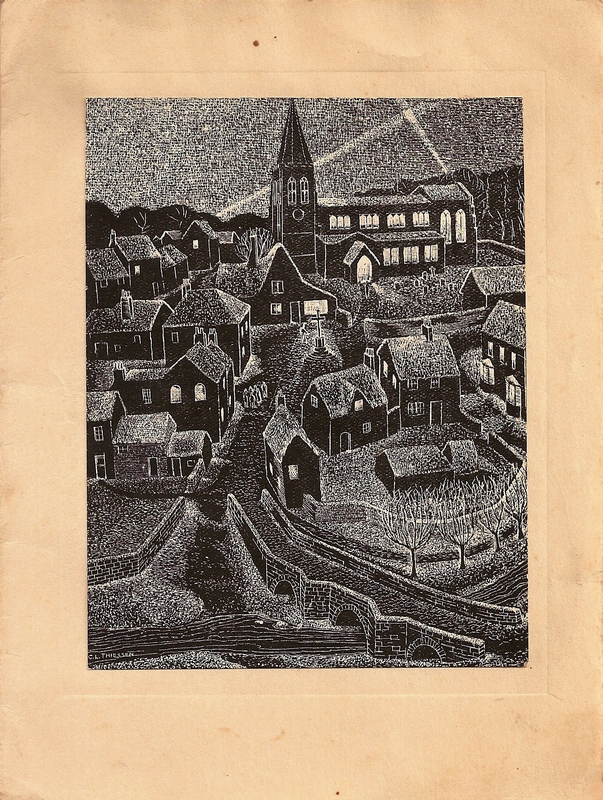 The unidentified men were probably along for the Christmas celebration. By thearrowheadclub in 384th Bomb Group on December 28, 2016 .